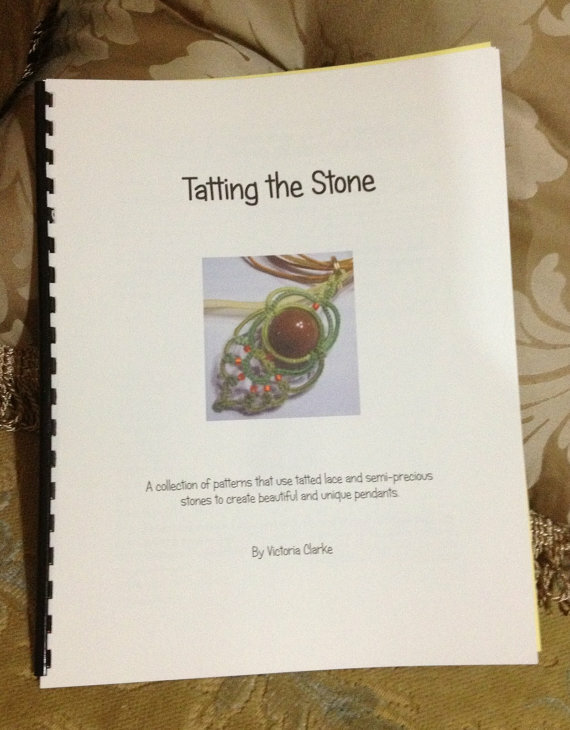 I have finally finished what has seemed to be everlasting project! These 4 doilies are for my business partner's (Sal) aunt in England. They are for her to use in celebration of their spiritial leader's (the Aga Khan) diamond jubilee. You can't see in the picture but I used preciosa crystals in the center and around the outside edge. I had some issues because I ordered thread that didn't come in time. When I realised this was going to happen I adapted the original plan. I changed the size of thread so I had less tatting to get to a certain size in a short period of time and used a readily available thread from the local yarn store. The result is softer than Lizbeth thread but seems to suit the project. Unfortunately I've developed at wicked case of tendonitis in my forearms. I'm not sure but I think the higher quality Lizbeth thread would not have cased such a severe problem. I used Renulek's Spring Napkin 2015 as the base design and added a row of beaded mignonette tatting around the outside. The final row is beads only. I sewed 6mm and 3mm preciosa crystals into the center. 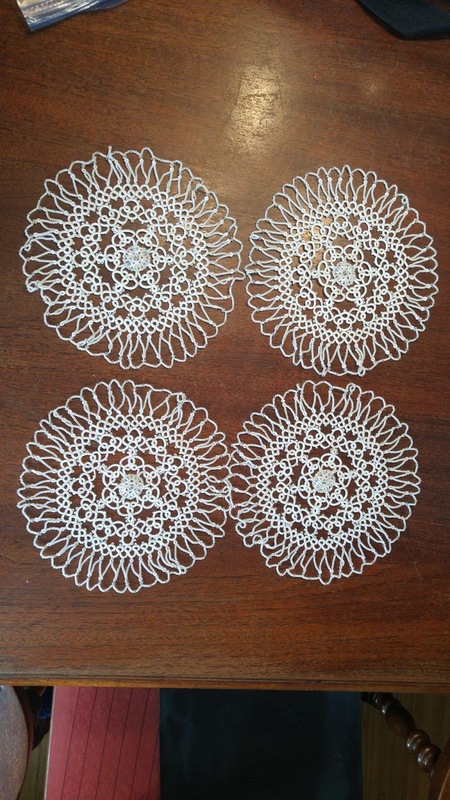 The doilies are very pretty. I've often wondered if using certain threads contributes to soreness, tendinitis, aggravated arthritis in the hands and forearms....sounds like it does. I hope you're feeling much better very soon. From now on, we'll try to use only high-quality threads. Wow, that's a very special project. I was trolling through your blog just now and for the first time noticed the Wordsworth poem. Wonderful! Never read it before. I relate big time! Thank you.